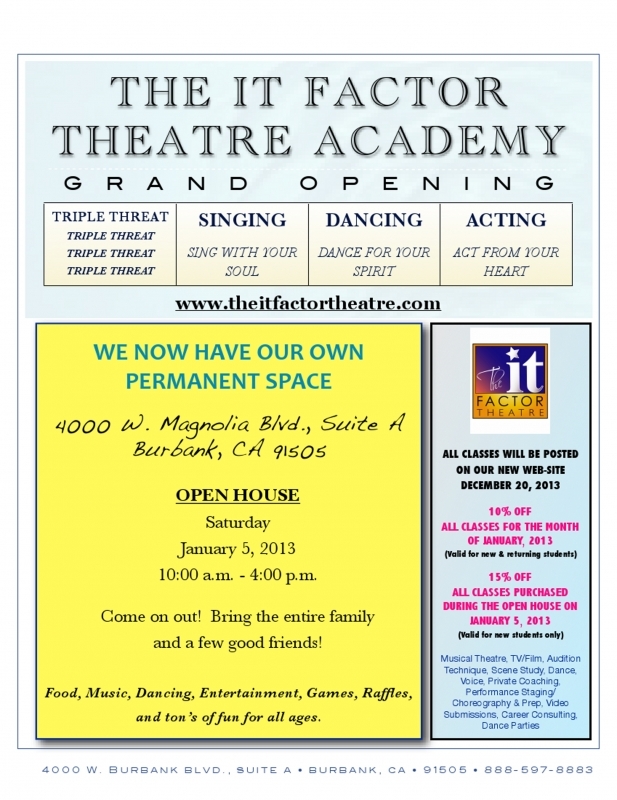 JANUARY 5, 2013 / 10:00 - 4:00 P.M.
CLICK ON FLYER PICTURED BELOW FOR DETAILS. If you have it... We will develop it! © 2011 The It Factor Theatre – All rights reserved.